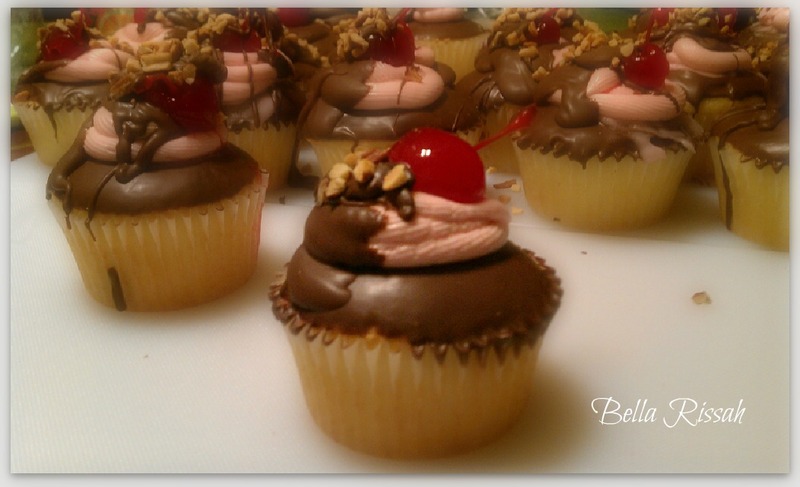 I am amazed that cupcakes are all the rage. Cakes have had to move over as the cupcake takes center stage for formal occasions such as weddings and celebrations. I decided to try for myself to decorate cupcakes with a theme, Cupcake Sundays. 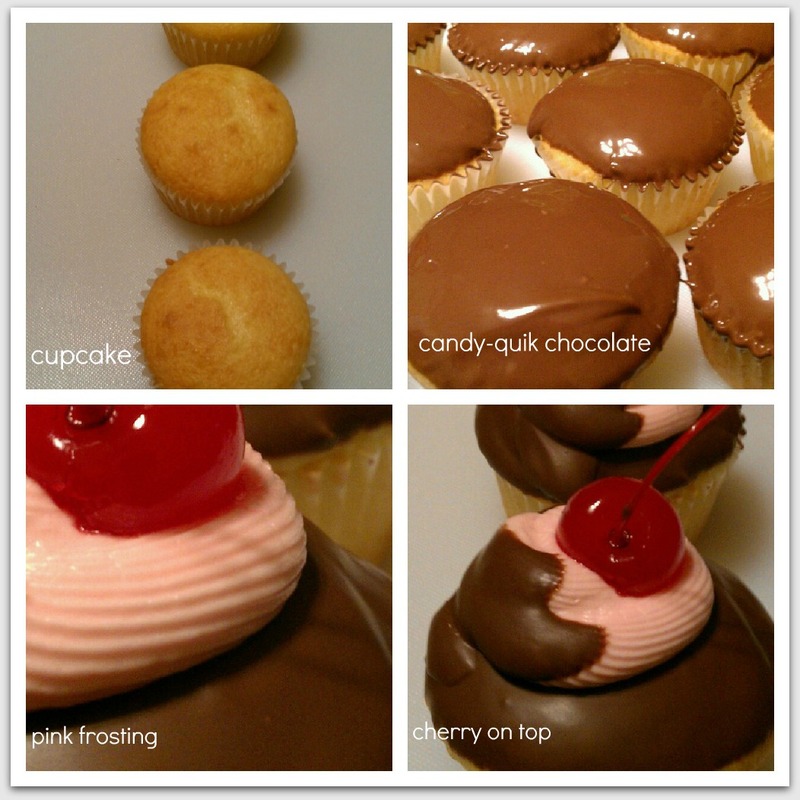 Once the cupcake has cooled dip it into the candy-quik chocolate. Candy-quik chocolate is ready made and sold at Walmart. It covers 30 cupcakes. To the softened butter add milk and half of the sugar. Once completely mixed add the remaining sugar, vanilla and almond extract. Put in refrigerator for a few minutes until slightly hardened then put into a decorating bag with tip 199. Start on outside of circle with a continual squeezing motion make second ring for height. Spoon chocolate on half of the pink frosting then add the cherry. Add the chopped nuts. Cool again in the refrigerator until ready to serve (pink frosting will soften with room temperature). I will be taking these to work for a potluck. My kids are asking if any are for them? Yes, of course. I made some for our dessert, too. I had so much fun making these Sundays with you, today. 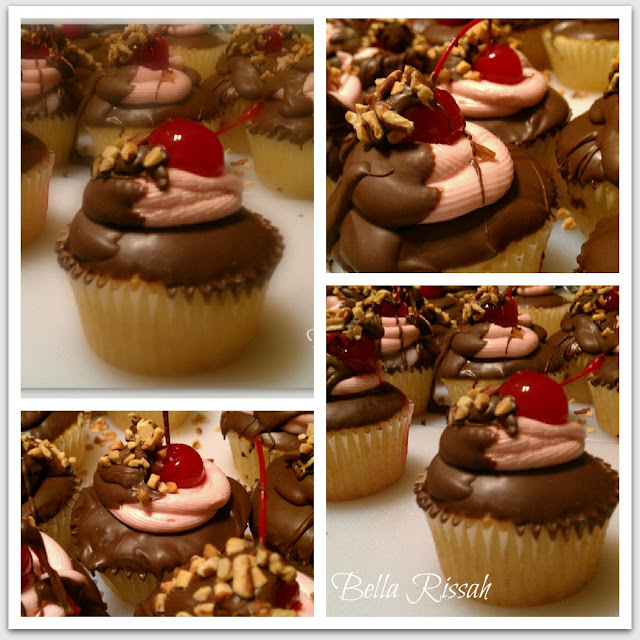 Wow, those cupcakes are not only gorgeous to look at but are making my mouth water! I would have never have thought to use the quick-chocolate,what a wonderful idea. Thank you for your visit to my blog and for following. I am glad you came for a visit. These look and sound delicious! 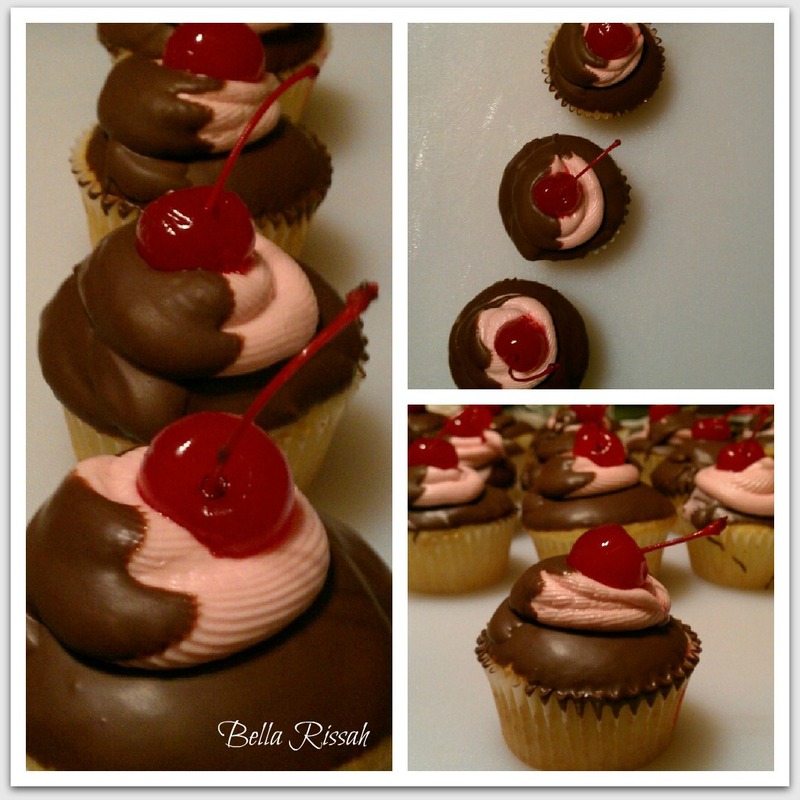 :) Thanks for sharing the recipe! You're welcome and the recipe is easy and sooo good! Thank you for stopping by. These have got to be some of the most beautiful cupcakes I have ever seen! Can't wait to try them and wow my guests! Thanks for sharing. Visiting from Savvy Southern Style. I wow'd everyone at the potluck. Some wanted to take them home to show their daughters. I think your guests will love it. These are amazing. A bit different. You're coworkers are very lucky. Those cupcakes are beautiful and I'll bet they taste as good as they look. Thanks for visiting and following, I've been happily following your blog for a while. I really liked what I saw on your blog, so inviting and creative. I will be back, can't wait to see what you do with the pillows you mentioned at twelve-O-eight. Visited your blog, your baking looks wonderful will use some of your recipes definitely.